The Russian Orthodox Church on Sept. 7 slammed its Istanbul-based rival for sending representatives to Ukraine and vowed to retaliate as the two churches are locked in negotiations over Ukraine’s religious future. Writing on Russia’s popular Telegram app, the Russian church spokesman Vladimir Legoyda called this "nothing more than an unprecedented brutal invasion of the canonical territory of the Moscow Patriarchy". Ukraine’s appeal to Patriarch Bartholomew comes against the backdrop of an ongoing, four-year conflict between Kiev and Russian-backed rebels in eastern Ukraine that made many Ukrainians turn away from the Moscow church. 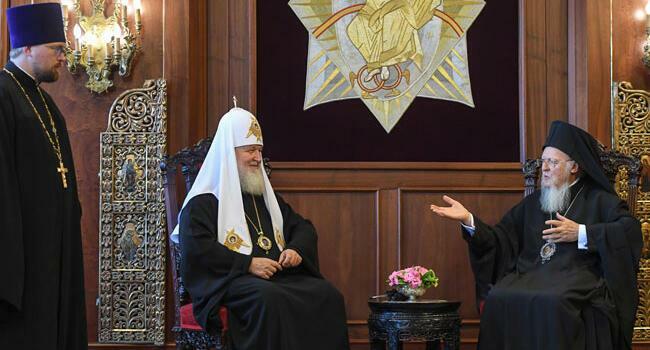 Kiev hailed last week’s summit between Bartholomew and Kirill as a success, with the country’s foreign minister calling the news from Turkey as "historic."